Ed Uttberg is the founder, owner, and Chief Executive Officer of Med Associates, Inc. Ed has spent the last 25 years successfully and profitably building Med into a well-respected medical billing and consulting company. His extensive experience and knowledge enhances Med’s management team as he continues to look for business opportunities to further Med’s place in the industry. 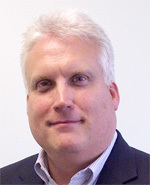 Ed’s impressive leadership history includes positions as previous President of Med, President of MedClaim USA, President of APA Partners, Director of Financial Services for Empire Blue Cross and Blue Shield, and Chief Financial Officer of both Blue Shield of Northeastern New York and the Capital District Physician’s Health Plan. Ed has a vibrant history of entrepreneurial spirit. In addition to founding Med, Ed founded ClaimTech in 1993, formed MedClaim USA in 1994, purchased APA Partners in 2001, and later sold APA and ClaimTech to a regional insurance company. Ed graduated from Siena College with a BBA in Accounting. Ed is a member of the Healthcare Billing Management Association (HBMA), Medical Group Management Association of NY (MGMA). Cathy Alvey is the President of Med Associates, Inc. Cathy has been with the family of companies since 1997. She focuses her energies on developing and improving products and services for Med, and overseeing all aspects of financial management, accounting, daily operations, and human resources. Cathy draws from her experience as a CPA when analyzing and improving internal operations as well as working directly with customers in developing their own internal procedures. She provides practices with needed expertise in internal controls, financial planning, budgeting and analysis that can otherwise be difficult for practices to develop or acquire internally. Previously, Cathy was CFO of MedClaim USA, Manager of Financial Reporting for both APA Partners and Partners Health Plan, and Senior Associate at Coopers & Lybrand, LLP. 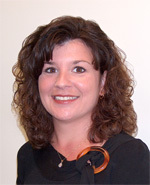 Cathy holds a BBA in Accounting from Siena College and an MBA from the University of Albany. She is a Certified Public Accountant and an active member of NYMGMA, HBMA, and the NYSSCPA. Eileen McCabe is the Vice President. Eileen has been with Med since 1990. She is the principal liason between clients, Med staff, and Sequel Med. She has experience in every aspect of the business, from account manager, IT production manager, administrative assistant, to data entry. Eileen is one of Med’s foremost experts in the SequelMed practice management system. Eileen acts as project manager during client implementations. 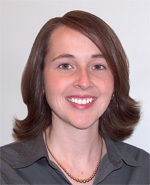 She provides onsite client training and facilitates office transitions and implementation of new technology. After the implementation, Eileen supports the client through any problems or questions. She works closely with SequelMed to meet client needs and ensure client satisfaction. Eileen manages the monthly reporting process and oversees electronic submissions. She is a frequent attendee of HBMA, Medicare, and MGMA seminars.